Depakote, or valproate semisodium (NN) or divalproex sodium (USAN), consists of a compound of sodium valproate and valproic acid. In addition to being used for epilepsy, it’s also used for treatment of bipolar disorder, chronic pain associated with neuropathy, and migraine headaches. It’s marketed by Abbott and available in a generic product from other manufacturers. Depakote ER is also manufactured by Abbott Pharmaceuticals. The ER in Depakote ER stands for extended relief. The two, Depakote and Depakote ER are not equal to each other. Depakote is approved for children over two years, as well as adults. It’s a delayed release product. Delayed release is designed to improve tolerance of the active ingredient by slowing its release. If one is stable on Depakote, Depakote ER shouldn’t be considered. Depakote works by increasing gamma-aminobutyric acid (GABA) in the brain. GABA is a natural chemical in the brain that slows down some brain signals and stops others. Increasing its levels can stop the abnormal brain signals leading to a seizure. Basically GABA is a natural calming chemical and preventing its breakdown and/or increasing its levels allows for more stability in the brain. It’s also possible that Depakote may affect sodium channels in the brain, preventing seizures. What is the history of Depakote? Valproic acid, (manufactured as Depakote), was first synthesized in 1882 by Burton as an analogue of valeric acid, found naturally in valerian. In 1962 the French researcher Eymard discovered the anti-seizure value of valproic acid. Since then it’s also been used in the treatment of bipolar disorder and migraine headaches. 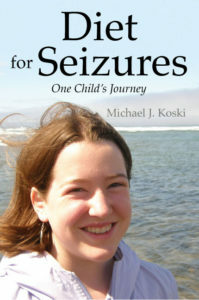 Depakote has been marketed in the U.S. since 1983 as a mediation for the treatment of seizures. More than two million Americans have some form of epilepsy and 125,000 new cases are reported yearly. What are common side effects from Depakote? Weight gain and increased appetite are reported by 1-10% of people who take Depakote. The same percentage experience unusual dreams. Other side effects can include diarrhea or constipation. Hair loss has also been reported. Serious side effects, such as dark urine, unusual bleeding, vomiting, loss of appetite, or fever should be reported immediately to your physician. While taking Depakote, you should get regular blood tests to monitor liver function and blood cells. What is the average Depakote dosage and cost? When sold as Depakote, semisodium valproate is about five times the price. It’s prescribed according to the individual’s weight. If too much is taken, it can result in serious symptoms and your doctor should immediately be contacted. If you miss a dose, take it as soon as you remember unless it’s almost time for the next dose. In that case, skip the missed dose and continue on with your normal schedule. Depakote should be stored at room temperature, away from moisture and heat in an airtight container. Retail price for 30 days of Depakote, 500 mg twice daily, is $95.70. It’s available in 150 mg 250 mg and 500 mg doses. Depakote ER is available in two doses, 250 mg and 500 mg.